" R WARM FRIENDS "
Shasta Gas Propane was started by Chuck and Judy Kinnie in the spring of 1997 and presently serve approximately 4000 customers throughout Shasta and Tehama counties. While we primarily service residential customers, we also service commercial and agriculture customers. 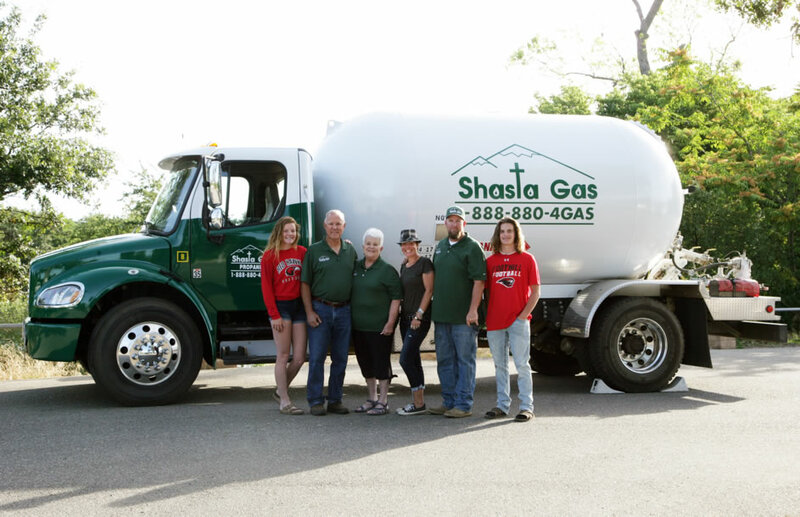 Locally owned and family operated, most Shasta Gas employees are family members that are safety trained and service oriented. We look forward to meeting your highest expectations while serving your propane needs. Shasta Gas Propane, Inc Wins Award - Click here for details. © 2012-2018 Shasta Gas Propane, Inc.